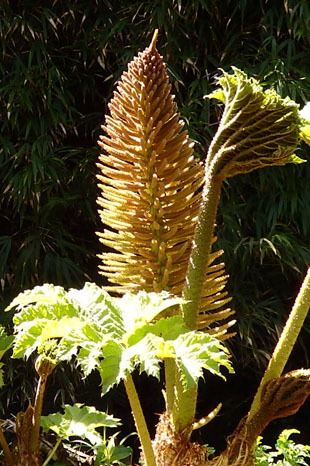 It is cultivated in gardens and estates throughout the country. They are thinly scattered elsewhere. first seen in the wild in the early 1900s. 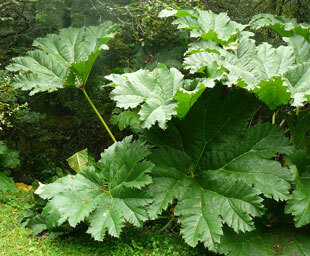 thicket-forming, invasive herb growing up to 2.5m. 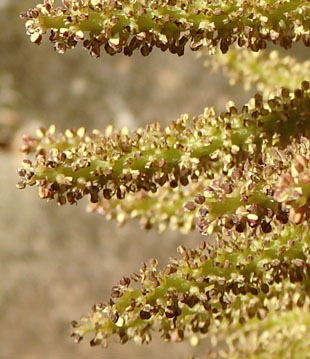 stems of up to 1m. 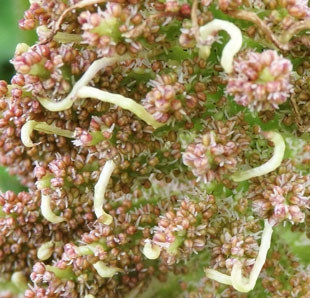 Floras state that the flowers can be bisexual. 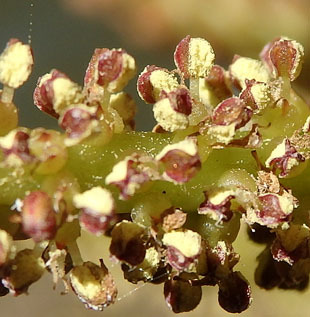 Male flowers appear first and are in clusters. 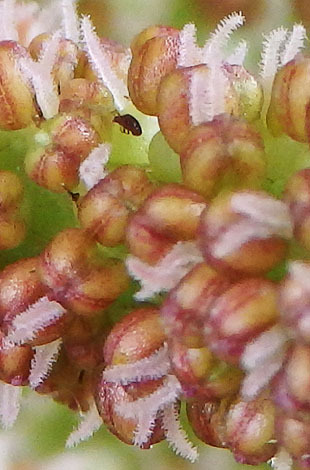 Each has 2 stamens. 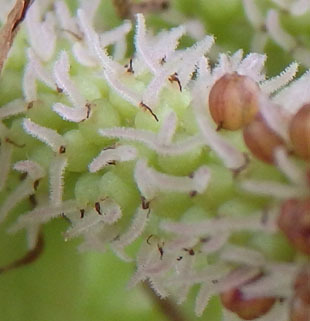 Female flowers have 2 white styles. 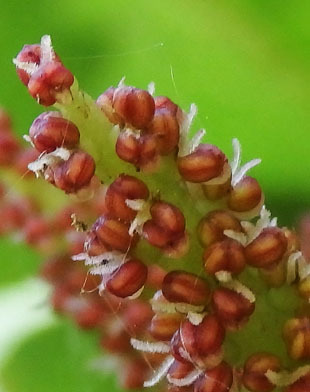 The fruits are orange drupes, each containing one seed. 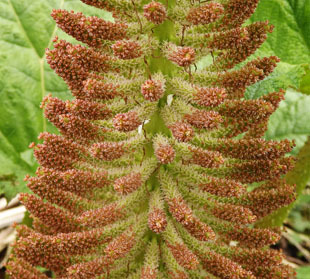 Each plant can produce up to 250,000 long-lived, seeds a year. 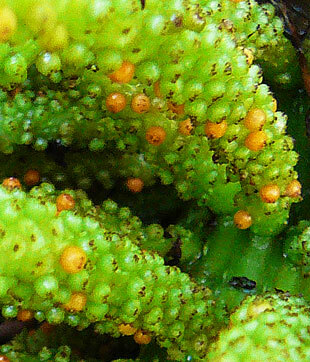 The leaves are green, palmate and up to 2m across. 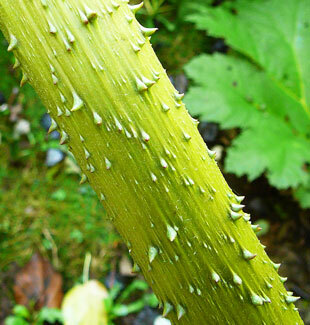 Leaf stems are up to 1.5m and have pale, rigid, prickles. 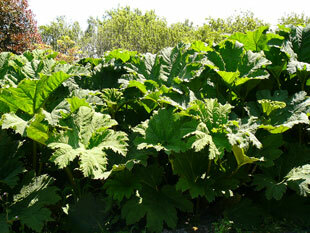 Giant-rhubarb is strikingly large but can be invasive in the wild.